The future of Canada's first protected marine area is now even more secure after Shell Canada gave up its offshore exploration rights to 50,000 square kilometres along the B.C. coast. 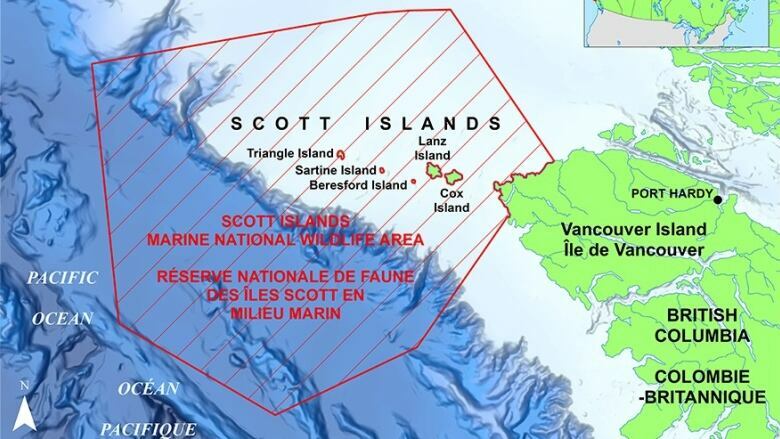 The company's rights overlapped with about one-third of the recently designated Scott Islands Marine National Wildlife Area, which conserves a vital marine environment for millions of seabirds, fish and mammals off the northwest tip of Vancouver Island. Even as Shell continues to explore for oil and gas globally, the company says it has no plans to do so off coastal B.C., particularly since the waters off the West Coast have been under an exploration moratorium since 1972. Shell Canada's rights covered an area more than one-and-a-half times the size of Vancouver Island, which is hard to value, said president Michael Crothers at a news conference on Thursday. "I hope we get some goodwill [in return]," he said. 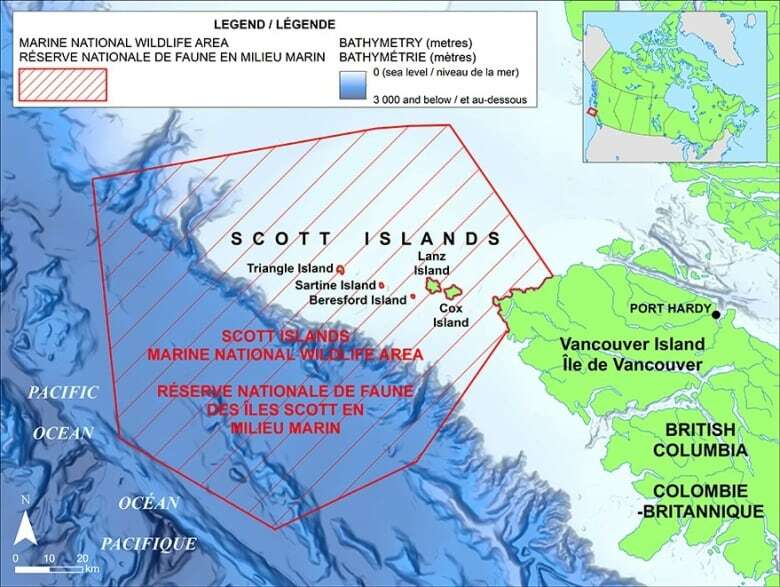 The Scott Islands marine area was established in June as the first protected marine area under the Canada Wildlife Act. This money will also support research and monitoring and help work toward removal of the seabirds' predators. "I actually hope that some of the other companies that continue to hold licences and permits in the area will follow suit."